It has been a long week. Extended cold weather is providing challenging conditions to care for farm animals. The last four nights have dipped to either side of 30 degrees below 0 and the daily temperature has barely risen above 5 degrees. Visits to the barn must be brief; performing only essential chores. Aside from a fleeting glimpse of each occupant's condition it is not possible for me to spend quality time with them. I worry about my animals incessantly. Concern for my baby donkeys wakes me in the middle of the night when I hear trees outside our window, crack and pop with the dropping temperatures. The following poem is a description of my morning routine this week. 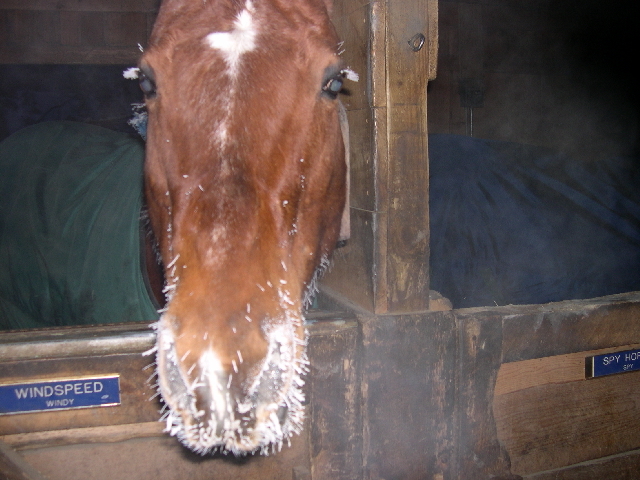 Read it quickly to get a sense of the urgency in feeding 11 horses, 3 goats and 2 donkeys before hypothermia sets in. 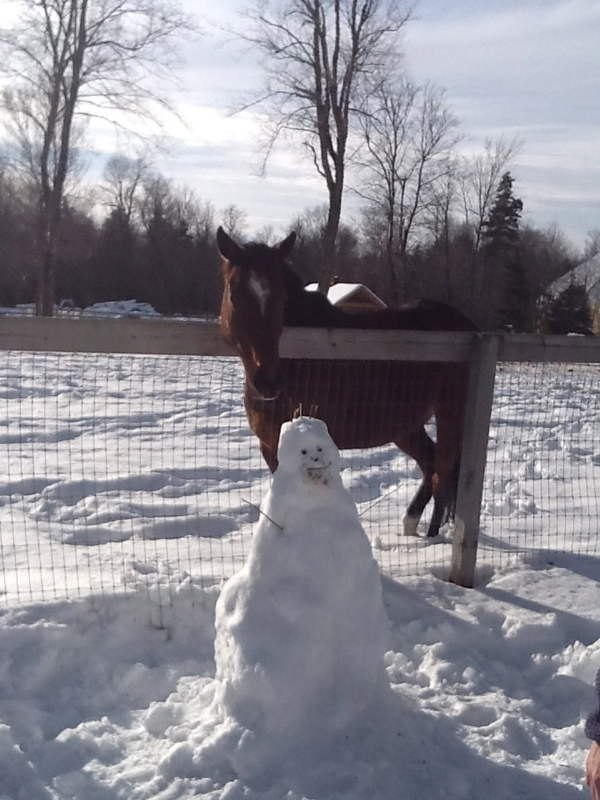 then out to the barn I go! Windy's, (1983 to 2010), frosty complexion is the result of -30 degrees. circa; 1995. Despite the bitter cold, (36.7 degrees below 0), Lowtchee is in good spirits and ready to dig into her hay! Over the years we have been able to travel to Alaska, Bermuda, the Pocono’s and the Catskills to attend my family's periodic reunions. Rod’s family resides in Florida which we have visited occasionally over the years as well. 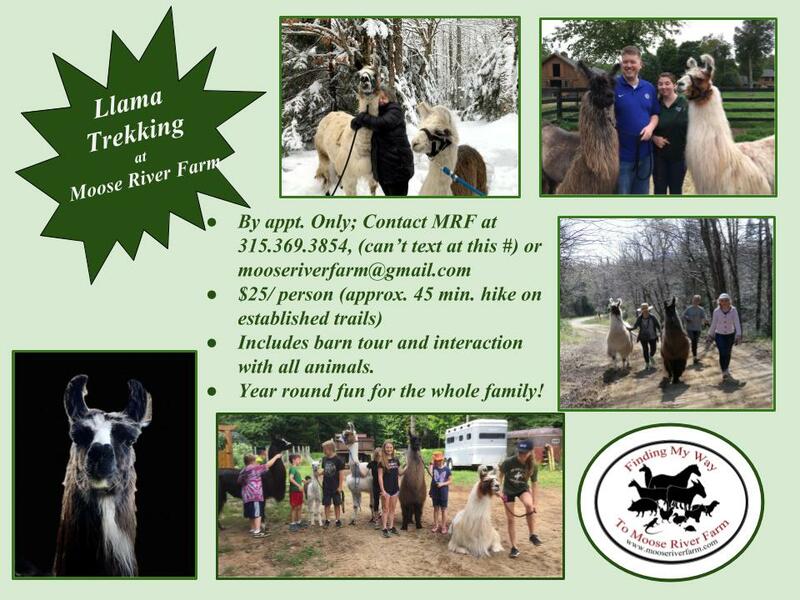 The ability to leave home and the success of our journey directly correlates with the competency of care left behind at Moose River Farm. To date our animals have never been disappointed and therefore, we have allowed ourselves to have a good time. So who in the world would want to step into my muck shoes by agreeing to take over the responsibility of 22 pets? The best caregivers are those associated with MRF’s riding lesson program. I employ a holistic approach to teaching horsemanship which encourages students to perform barn chores on either end of their actual ride. This enables them to become proficient with the tasks that run the barn more smoothly, while keeping horses safe and healthy. Students pick out stalls, fill water buckets, sweep the floor, haul and stack hay. They measure and deliver grain rations, dispense supplements and decide to blanket or not to blanket. During chores, it is not uncommon for Fiona, the goats and the donkeys to be foraging about freely in the barn. 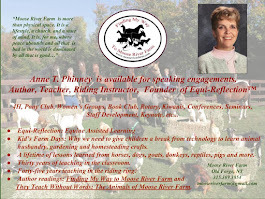 As a result the students develop endearing relationships with these animals in addition to the horses. Our four dogs, who bark a ruckus whenever anybody drives into the driveway, are difficult to ignore. Students might visit with our canine pack in the back yard where it is not uncommon to also encounter our iguana, Rosemary sunbathing leisurely on the deck. Before the students and their families know it, they are cast under a powerful spell . All I have to do is pop the question. "Robyn, can you and your kids stay here while we go away for the weekend?" Before we leave there is a whole list of notes for Robyn to review. 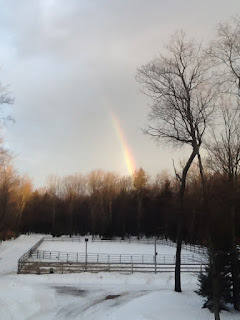 The horses eat lunch around noon; make sure the dogs don't escape when Fiona opens the backyard gate; don't forget to cover the spigot in the barn or else it will freeze; and keep the goats out of the tackroom. Robyn's head is now buzzing with instructions and she is praying that there are no emergencies on her watch. Rod and I head off on our furlough. For 24 hours I am officially off duty; away from mucking stalls, away from barking dogs, away from the goats who strewn hay about and poop all over the barn floor, away from the late night barn check and early morning feeding schedule. For the rest of the day, night and tomorrow morning, these chores will be someone else’s responsibility while I bask in the glory of nothing to do that requires me to watch the clock or pull on my heavy barn coat. After a lovely afternoon wandering around Saratoga Springs together and an early dinner, we seek out our accommodations at the Brunswick, a warm and cozy B&B directly across from the racetrack. Rod watches television while I interact with my i-pad. Email, Facebook and of course this blog all need to be viewed. 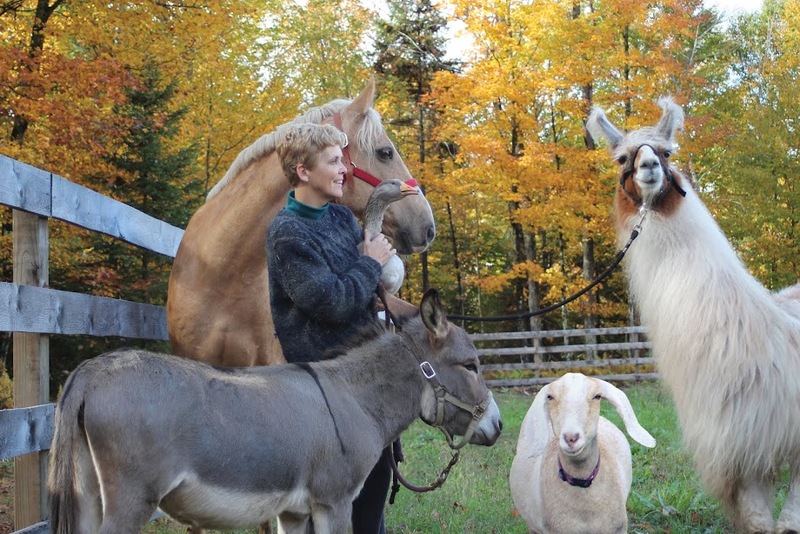 I search for as many pictures as I can find of the donkeys, horses, goats, and dogs. The interior of our room is so quiet. The bed seems huge minus four dogs sprawled out and leaving little room for us as we twist, stretch and contort ourselves to accommodate their comfort. I am cold without Huxley pressed against me and miss the almost intelligible chatter of Hayden every time he changes position. Niles is not sleeping above my head and Nina will squeeze under someone else's covers tonight. Sunday afternoon, we drive up the driveway and are greeted by seven snowmen struggling to stand at attention in the unseasonably warm 45 degree weather. Despite their drooping postures, it is evident that a good time was had while we were away. That is not the only piece of supporting evidence of fun. Our four dogs don't even bark at the sight of our car in the driveway. They do wiggle around our legs a bit, but since they are exhausted from engaging in constant activity while we were away, they merely thump their tails to say hello. Even Fiona, zoned out in her afternoon nap, doesn't stir upon our return. The lack of emotional display to welcome us home leads me to wonder why we left in the first place. 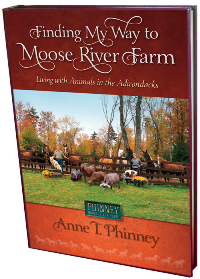 Perhaps it would have been as much fun to stay with Haley, Robbie, Robyn and the animals. So what happened while we were away? Shortly after we returned home and unloaded the groceries from the car, I called Robyn. Her son Robbie answered the phone and immediately began to tell me how he held Huxley in his lap under a blanket while the family watched TV all evening. At bedtime, Niles curled up on his pillow and remained quietly close by all night. He asked if we saw the snowmen and wondered if we liked them. Then he handed the phone to his mom who assured me over and over that she and the kids had a blast keeping track of all the animals in our absence. They had taken the dogs for a walk and were pleased that the goats followed along too. The sweet baby donkeys enchanted Robyn and her children with their loving personalities. Haley brushed them so that she could extend her time in their presence. Of course there was the ever popular pig report. Apparently, Fiona couldn't make up her mind whether to stay outside or to curl up in bed for the afternoon. Her actions required Robyn to be the 'doorman' so that Fiona could come in, go out, come in, go out; until she had made up her mind to stay out in the unseasonably warm winter weather. Leaving, home from time to time, is not only essential, it is also healthy. We make ourselves go and try not to turn down opportunities to do so. Once the car is packed, notes are organized, and animals are secured, we drive out the driveway towards our escape destination with high expectations of having a good time. 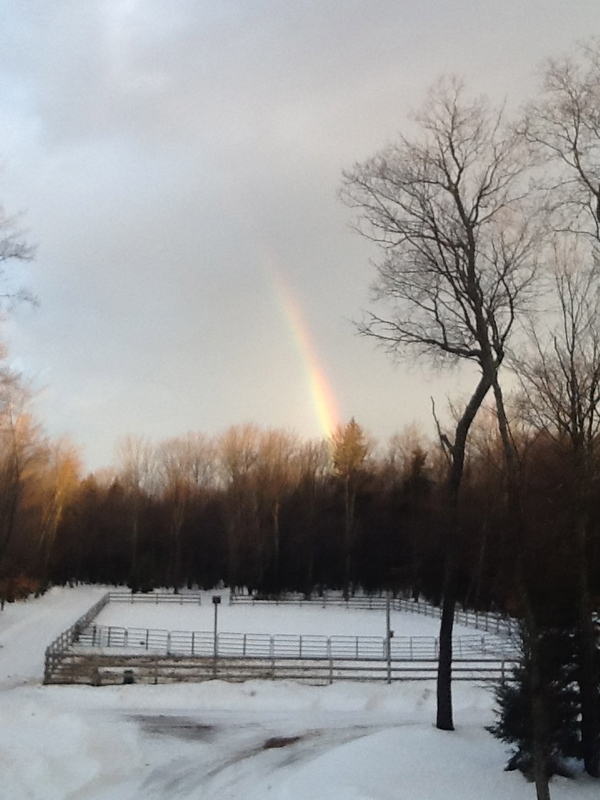 However, returning home to the farm that we love so much is when real elation envelops us. Once reunited with our four-legged family, we can honestly conclude that yes indeed… we had a wonderful time. Easau wanted to help build the snowmen...but, there was a fence in the way. Postscript: Cindy and Haley recently stayed and took over while we got away after Christmas. They did a marvelous job caring for the animals over a longer period of time. We are so grateful to all who agree to take on the task of spending some time in our world. 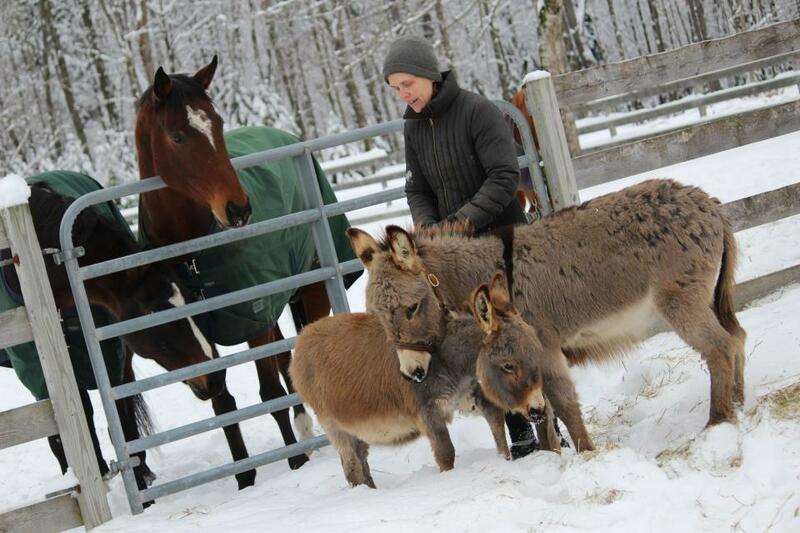 The addition of our two baby donkeys, Bing and Frankie, has provided a welcome distraction this winter. Their long eared presence around the barn is one more reason for me to smile through chores despite January's bitter cold dips in temperature. Since stepping off the trailer onto our Adirondack farm one month ago, the donkeys have entertained many of us with their reserved antics and have endeared me with their cuddly dispositions. Perhaps the biggest surprise however, is the contrast they display in comparison to the horses. For over forty years I have been observing horses; either deliberately or through osmosis while working with them. I can read a horse’s intentions fluently and am able to decipher between a lack of confidence and a lack of manners. Of course for each one I must respond appropriately without over-reacting so that the horse continues to respect me as the leader of our herd. Donkey behavior, on the other hand, has evolved quite differently. Donkeys are more laid back than horses. They will take as long as they need to weigh the pros and cons of complying with my training request. The final decision is based on the likelihood of their survival. Many of the donkeys' behaviors are similar to Fiona's, (No More Pigs). With big dewy eyes they silently negotiate the terms of my training and before I know it, 'whoosh'; I am on my way back to the tackroom for more cinnamon horse treats! After several more months of this routine, it will be unclear who is training who. The more I learn about donkeys...the more I understand horses! Zambi, Easau, Frankie and Bing. Bing and Frankie follow along.